If you would like to keep tabs on your bandwidth usage? It is good to know your usage, the 10GB fair usage plan from Airtel is peanut for my usage as I download a lot of TED & iOS Dev videos from iTunes. 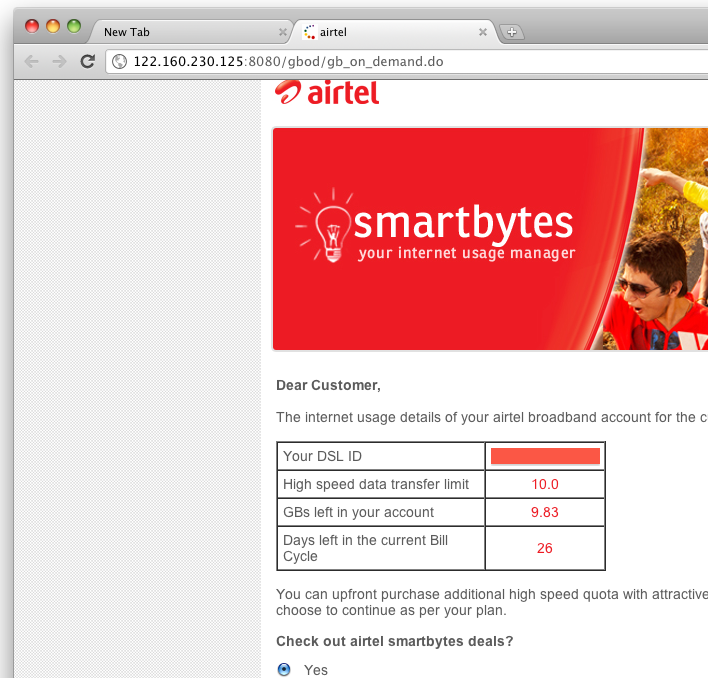 I’m also sick of Airtel as they hijack all my trafic after FUP, even all https are redirected to http (sic).